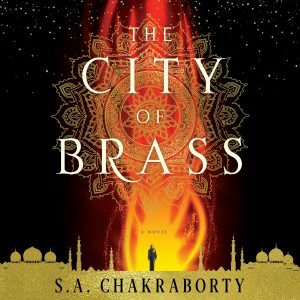 The City of Brass, S.A. Chakraborty; Soneela Nankani, narrator (Harper Audio and Blackstone Audio (978-153845611-8), $55.99, MP3-CD, 19.5 hr., unabridged [also available as a digital download]) November 2017. In Napoleonic-era Cairo, Nahri makes a living as a con artist and thief posing as a fortune teller and healer, while concealing the magical talents she actually does possess but does not understand. One night, her grift goes terribly wrong: during a supposedly fake magical ritual, Nahri stumbles upon a real spell and summons up a djinn, or daeva, called Dara. He instantly recognizes her as part daeva herself; in fact, she is apparently the last surviving member of the former royal family of Daevabad, the titular City of Brass. Dodging murderous ifreets and other dangers all the way, Dara conducts Nahri to the city, where she is treated as a pawn by both the current rulers and the supporters of Nahri’s family. I am not as familiar with Arabic as I’d like, but actress Soneela Nankani’s pronunciation of Arabic places and personal names sounded rea­sonably plausible to me, and she provided a fine amount of dramatic tension in this gripping story. 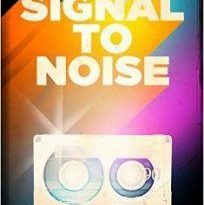 This was one of those novels where the story took over, and the audio narration almost vanished into the background for me; I just wanted to know what was going to happen next. I was very impressed by the incredibly nuanced characters and politics, which grappled directly with issues of racism and prejudice. There were very few pure villains: nearly everyone was painted in shades of gray, and each faction had both noble causes and vile actions in their history. I especially ap­preciated the complexity of Nahri’s own heritage: She is half human, and half a member of a daeva tribe that is so vehemently against daeva/human hybrids that they went to war over it. I have no idea where this series plans to go, but I’ll definitely be there for it.